Hope everyone’s getting a chance to shop at the local farmers markets in the area. Wednesdays theSurrey Urban Market is at City Centre and Thursday InSeason Farmers Market is at Art’s Nursery in Port Kells. 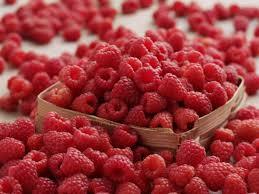 Yesterday I shopped at Mary’s Garden on 40th Ave in South Surrey and got the most delicious raspberries! Previous Post:Make way for Parklets!